The real reason we shouldn’t look down while we’re riding doesn’t have as much to do with running into things or falling off as it does with the horse’s ability to perform. You see, our eyes are heavy! 1 Stand on a flat surface and balance your weight evenly through each foot. 2 Look down at your right foot. 3 Now lift your right foot off the ground. How easy does it feel? 4 Now stand up again and balance your weight evenly through both feet. 5 Look up to the right. 6 Now lift your foot. Much easier, isn’t it? 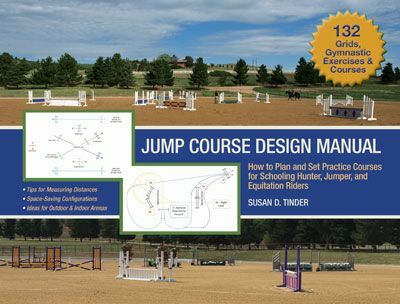 OVER, UNDER, THROUGH: OBSTACLE TRAINING FOR HORSES is available from the TSB online bookstore, where shipping in the US is FREE. CLICK HERE for more information or to order. THE PRINCIPLES OF RIDING by the German Equestrian Federation (FN) was first published more than 50 years ago and now has 28 editions to date. Over 400,000 have been sold, translated into 11 languages. Is oriented toward the nature of the horse–the horse’s needs and each horse’s natural, individual abilities. Considers the physical precondition of the horse and the natural behavior of the horse. Aims toward a balanced gymnasticizing and strengthening of the horse. 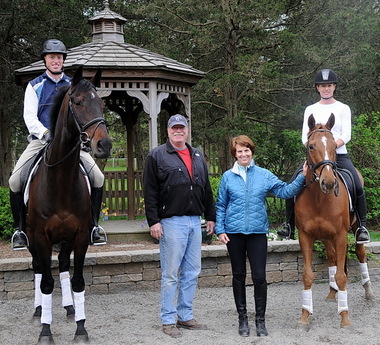 Develops and maintains a horse that performs willingly and confidently. 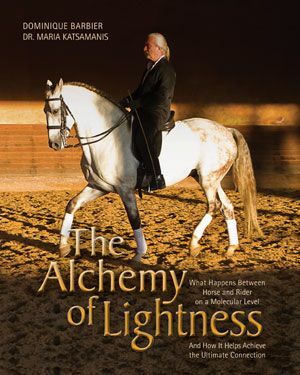 Demands from the rider an elastic, balanced seat, a sensitive, fine use of the aids, as well as an understanding of the nature of the horse and its correlation to training, thus leading to inner and outer balance of horse and rider. 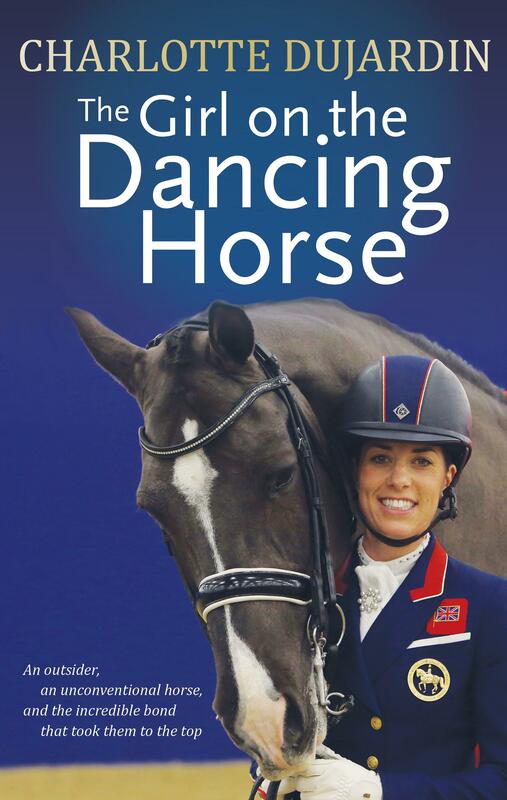 So as horse people, why do we need to read the new edition of THE PRINCIPLES OF RIDING? 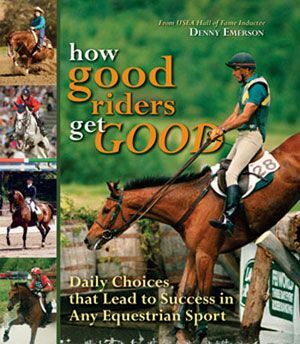 Because it provides a baseline foundation of understanding for ALL areas of equestrian sport and horse management. 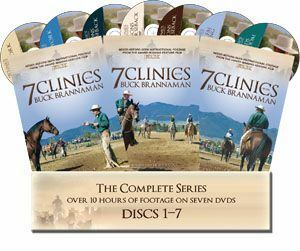 Because it provides practical guidance to all who want to learn how to ride and train a horse appropriately, as well as comprehend why certain methods have proved correct and indispensable over the years. 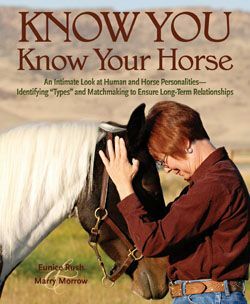 And because this newest revised edition emphasizes the importance of harmony between horse and rider. 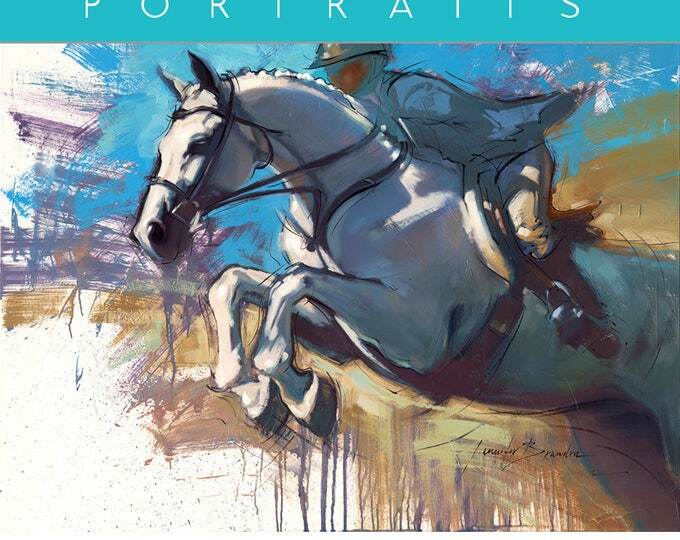 THE PRINCIPLES OF RIDING are an important addition to any aspiring rider or trainer’s equestrian library, and are available now from the TSB online bookstore, where shipping in the US is FREE. 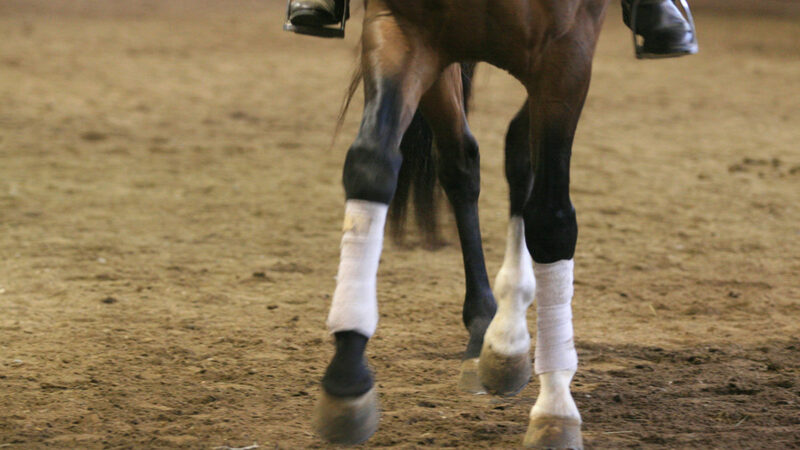 Did you know your knees can obstruct your horse’s ability to go forward? It’s weird to think about—but true! Your seat bones and feet play a role, as well, but they are secondary to the knees. You can use this easy test with an exercise ball to identify bad habits that may explain why your horse does (or doesn’t) respond to you in certain ways. 1. Start by sitting in the full seat position on the ball. If necessary, place a marker to the side to see which direction the ball is rolling. To begin, individually isolate the movements of your pelvis, knees, and ankles, then combine them to determine which has the greatest influence on the direction the ball rolls. At first, you may think your ball is not reacting as it should. But the ball doesn’t lie. Have someone watch you (or work in front of a mirror) to discover what you are doing so that you can control the ball and explore the various combinations accurately. 2. When you maintain a 90-degree angle at the back of the knee without making the knees rigid, you will find that hollowing your back rolls the ball slightly back, while rounding rolls it slightly forward. 3. Beginning from a 90-degree angle at the back of the knees, straighten your knees and the ball will roll back; bend them again and it will roll forward. 4. Now lift the front of your feet and press on the floor with your heels. The ball will roll back. Lift your heels, leaving the front of your feet on the ground, and the ball may stay in place or roll forward, depending on how much you bend your knees. 5. You can override the effect of your pelvis and feet by straightening or bending your knees. Round your lower back, lift your toes, and let your knees bend: the ball rolls forward. Straighten your knees: it will roll back. Hollow your lower back, lift your heels, and bend your knees: the ball rolls forward. Straighten your knees: it rolls back. Note that when you straighten your knees with your feet in the stirrups, you are bracing against your horse’s forward movement regardless of whether your lower back is hollowed, rounded, or flat, and whether your foot position is heels down or toes down. 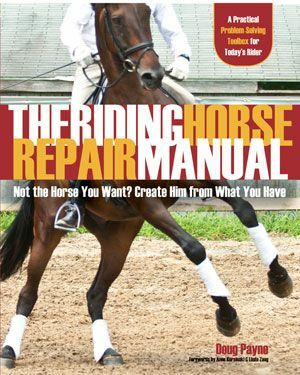 For more exercises that illuminate riding position habits in interesting ways, check out 40 5-MINUTE JUMPING FIXES by Wendy Murdoch, available from the TSB online bookstore, where shipping in the US is FREE. 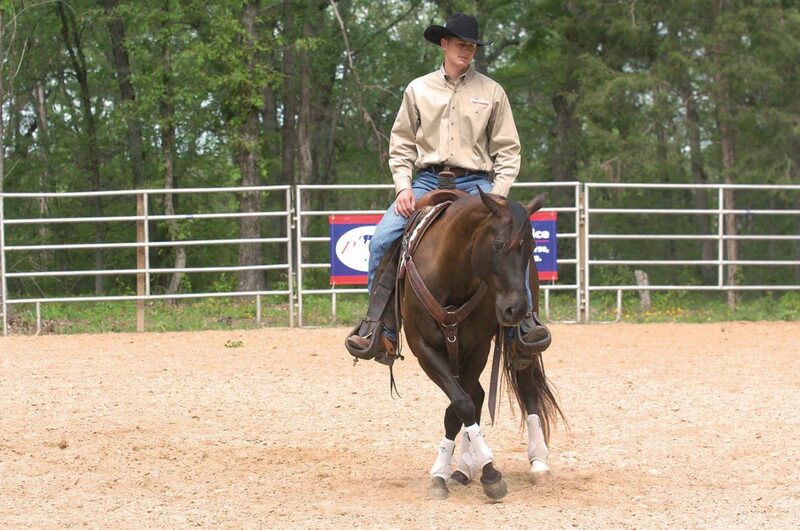 Is Your Horse a Righty or a Lefty? Has it ever crossed your mind that your horse might be “left-” or “right-handed”? 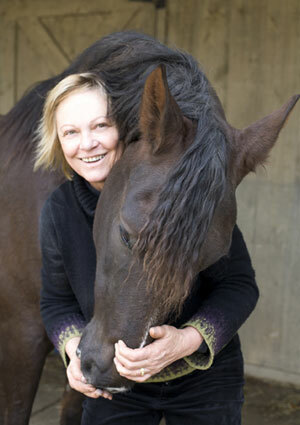 According to Gabriele Rachen-Schöneich and Klaus Schöneich in their book STRAIGHTENING THE CROOKED HORSE, every horse is either left- or right-handed, and this “handedness” or “sidedness” is almost identical to that of the human population in terms of occurrence (70-90 percent right-handed). Interestingly, an April 2012 article on LiveScience.com explains how a study published in the Journal of the Royal Society Interface shows that, the more social the animal—where cooperation is highly valued—the more the general population will trend toward one “sidedness” over the other. Certainly we consider the horse to be a highly social creature, and his early development as a herd and prey animal could be said to have nurtured the characteristics of cooperation, and perhaps, therefore, right-handedness. Whatever the cause, one-sidedness or forelimb dominance is a form of natural crookedness (the horse’s center of balance is displaced forward and to the right or to the left), and this can lead to big problems in the horse way of going (rhythm faults, leaning in, falling out, for example), ultimately compromising his physical and mental soundness and overall well-being. Rhythm faults originating in the right shoulder and foreleg are probably the result of natural crookedness, which leads us to another serious problem that arises: if the horse is “leaning,” that is, placing excessive weight on his right shoulder, he will take a slightly shorter step with his right foreleg. Consequently—and this is very important—the right hind leg will also shorten its step. The horse drags the right hind leg, at first almost imperceptibly, but then more and more. This is because when the horse is leaning on his right shoulder, there is less impetus for the right hindquarter and hind leg to move, and consequently the hind leg drags behind…”leaning” on one or other of the shoulders causes a constant strain, which must eventually harm the horse. The rider’s weight inevitably makes the problem worse, especially if he is inexperienced and has not yet learned to control where to place it….It is difficult for a crooked horse to carry his rider. As a result, he becomes nervous, and this seriously affects his training. A balanced horse shown on the left. A crooked right-handed horse is on the right. He leans on his right shoulder and takes a shorter step with his right foreleg. This causes the right hind leg to shorten its step. You can feel what this is like if you try walking while leaning on a cane or a stick in your right hand—you’ll find that your right leg immediately starts taking shorter steps. The horse will not be balanced but will move weight on the diagonal, onto the right shoulder. This causes the horse to carry his head and neck to the opposite side to counteract this excess weight, resulting in concavity on the left side. On the circle as the horse comes away from the wall or rail, the circle tends to get bigger on the left rein and the horse falls in on the right rein. 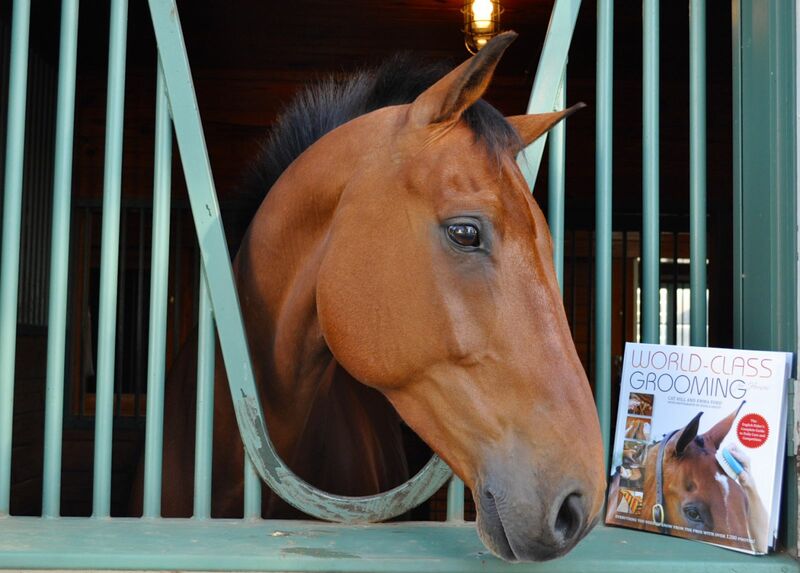 For more information on crookedness in horses and how to resolve related problems, check out STRAIGHTENING THE CROOKED HORSE, available from the TSB online bookstore, where shipping in the US is FREE. 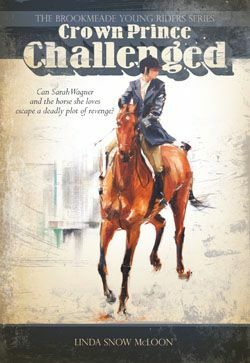 Trafalgar Square Books, the leading publisher of equestrian books and DVDs, is a small company based on a farm in rural Vermont. Sure, there are any number of cool cucumbers who can compete without missing a beat, but the majority of us struggle to some degree with show nerves and performance anxiety. 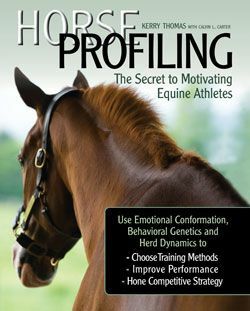 In his book PRESSURE PROOF YOUR RIDING, renowned sport psychology expert Coach Daniel Stewart explains that one of the keys to success in this arena is to develop a strong showing mindset. “The showing mindset is a subconscious skill that helps you avoid over-thinking, overreacting, and overanalyzing during competition,” says Coach Stewart. “The time for all that has passed; the time for self-analysis and criticism is gone; and the time for trust has arrived. Studies have shown that no appreciable learning of a skill—mechanical or technical—takes place on show day. This only happens at home during your lessons. So trying to improve while showing is an ineffective use of your time. 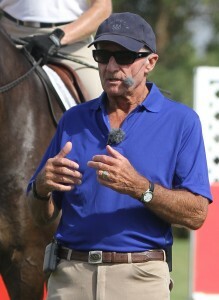 As soon as you drive into the venue’s parking lot or exit the warm-up arena, you need to confidently transition from your schooling mindset, to your showing mindset, and just trust that all the self-critiques, analysis, and feedback from your lessons have prepared you well for the demands of the next few minutes. Try “Softer”—Trying too hard or schooling when you should be showing can lead to pressure and fear of failure. Replace anxiety and self-criticism with self-belief and confidence. Focus on a Task—Focus on a positive task, like repeating the motto, “Trust not train,” to stop your schooling mindset from getting in the way of your showing success. Use a “Show-Starter”—Identify a cue that will create a boundary between your schooling and showing mindsets. For example, tell yourself to “start” your showing mindset when you hear the ding of the bell before your dressage test or when you walk into the start box before going cross-country. The sound of the bell, and the location of the start box, sets the boundary between your mindsets. Get more tips from Coach Daniel Stewart in PRESSURE PROOF YOUR RIDING, available from the TSB online bookstore, where shipping in the US is FREE. The comment might mean little to those outside the equestrian realm, but within it, we understand it as a compliment. And one of the highest order. 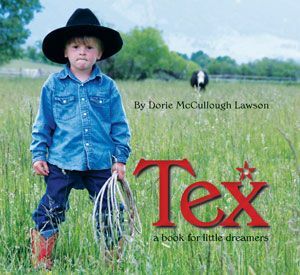 As young riders, we try our darnedest for a somewhat light connection with the school horses and tough little ponies we likely learn on. 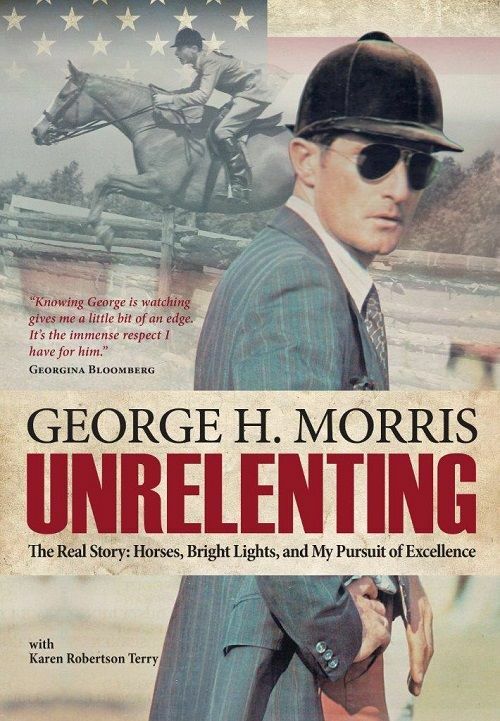 We know we should be able to turn and stop with almost invisible aids…we’ve been told, and we’ve seen great performances by liberty trainers and dressage riders and accomplished horsemen with that magic touch on a horse. I even vaguely remember reading a story about a fairy with a tiny, mystical mount, and reins of a spider’s thread…and this is what I aspired to, over the years, despite a number of equine partners with less-than-enthusiastic responses. 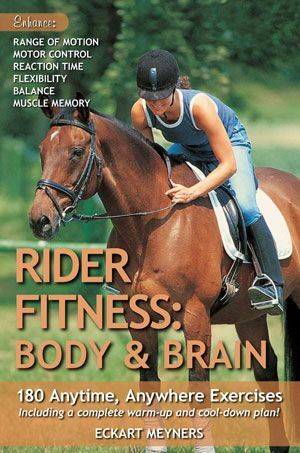 For more enlightening exercises for better all-around riding, read Sally Swift’s CENTERED RIDING 2, available from the TSB online bookstore, where shipping in the US is FREE. 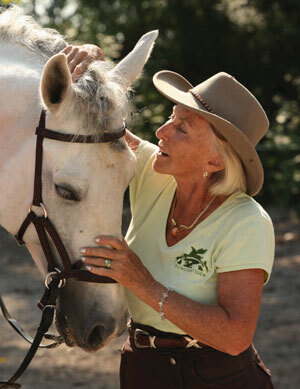 Sandy Collier has enjoyed great success in her career as an NRCHA, NRHA, and AQHA champion horse trainer. Named one of the “Top 50 Riders of All Time in All Disciplines” by Horse & Rider Magazine, she was inducted into the Cowgirl Hall of Fame in 2011, and the NRCHA’s Hall of Fame in 2012. 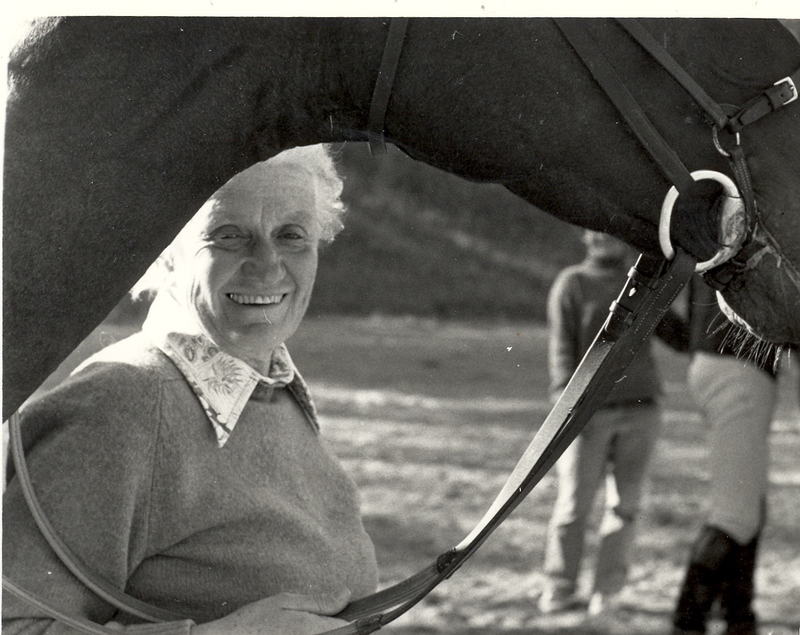 Collier was the first and only female horse trainer to win the prestigious NRCHA (National Reined Cow Horse Association) World Champion Snaffle Bit Futurity. She also won an NRCHA World Champion Snaffle Bit Futurity Reserve Co-Championship in addition to being a regular Finalist there annually. She has been a NRCHA Stallion Stakes Champion, an NRHA Limited Open Champion, and an AQHA World Champion. 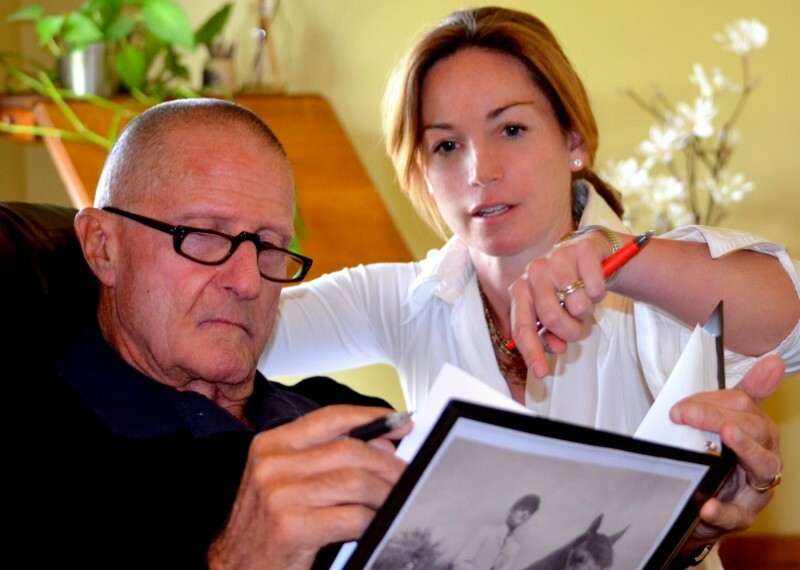 In champion trainer and popular clinician Lynn Palm’s book THE RIDER’S GUIDE TO REAL COLLECTION, Palm asked Sandy Collier to share how she works to achieve collection with her performance horses. Collier says that even though reiners and Western riders will often get their horses really collected at the trot and lope, “as soon as you start putting a lot of speed to it, it’s like the wheels start falling off the car.” She uses an exercise called The Runaround to maintain collection, improve the quality of a horse’s rundown, and thus ultimately better his stop. 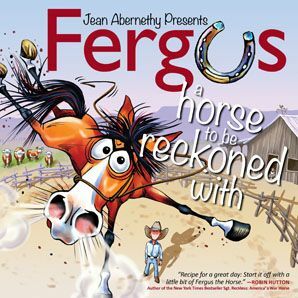 The goal is to capture the complete tail-to-nose package of supple muscle and hind-end-generated impulsion that becomes a “frame” where the horse is more athletic—that is, his forehand lightens, enabling him to maneuver his front end more quickly, and his steps become cadenced and his movement free-flowing. 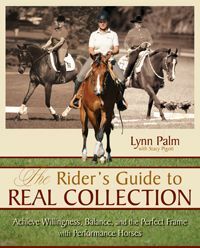 For more exercises that help achieve this real collection, check out THE RIDER’S GUIDE TO REAL COLLECTION by Lynn Palm, on sale now at the TSB online bookstore, where shipping in the US is FREE.